A group of Medgar Evers College faculty and staff attempting to oust college President William L. Pollard and Provost Howard C. Johnson succeeded in getting a “No confidence” vote against the administration before the CUNY Board of Trustees. 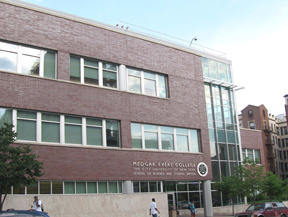 But a Medgar Evers College spokesperson Christopher Hundley noted the vote was taken only among some members and said it doesn’t accurately reflect faculty or staff sentiment. The April 23 vote came among allegations including that under Pollard’s helm the school was discriminating against women and hiring cronies. Cuffee said that under Pollard the school has created a hostile environment for faculty and staff. Hundley responded the document upon which the vote was taken is filled with numerous falsehoods and mischaracterizations. “In recent weeks, rather than pursue constructive attempts to resolve philosophical differences on the direction of the college through the proper internal channels, some members of the Faculty Senate (who organized the vote) have made these claims public, which has not only damaged the reputation of the college, but also the hard work of all of its employees, its students, and graduates,” said Hundley. The school held a public meeting recently with Pollard reportedly in attendance and Hundley said the administration remains committed to the mission and ideals of the school. “We will continue to increase support and initiatives for academics and student support services. We will continue to ensure our College classrooms are filled with highly qualified and effective professors. We will continue the work necessary to increase retention and graduation rates, said Hundley, throwing something of an olive breach to the faculty and staff. “We hope to work with all campus personnel and bodies to achieve those aims for the betterment of all of our students,” he said.